After having his left leg amputated in the summer of 2012, Luis Columba thought he would never be able to walk again. The 36-year-old construction worker's leg was amputated after it was hit with a piece of metal. Although it didn't break the skin or bone, he began to feel pain around a week later. He was diagnosed with an infection at the hospital and an amputation was necessary. 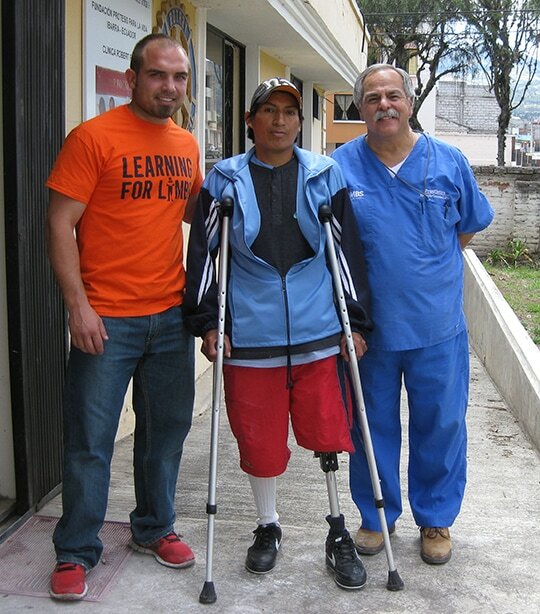 After just two days with a prosthetic, Luis is now walking with no crutches and little support. Although he still has some adjustments to make in living with a prosthetic, Luis said he's happy just to be able to walk again.